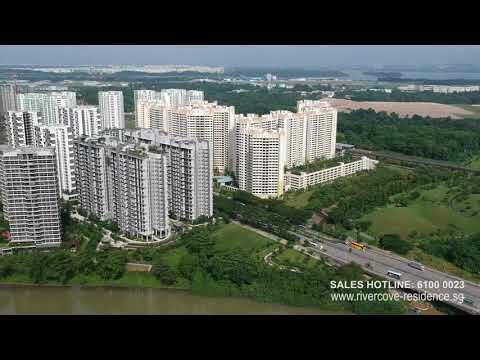 The neighborhood of Anchorvale Lane in Sengkang is about to get even better with the rise of Rivercore Residences EC. There is no doubt that this soon-to-rise executive condominium is highly anticipated and has set all eyes in the industry to itself. Up to 16 property developers have tendered bids for the site’s development. That figure is the biggest in terms of competitive tenders for a residential development in the country since 2013. And that could also be an indication of how ‘hot’ the location is for developers and future residents. So far, Rivercore Residences is the sole executive condominium that is slated to launch in 2018. That could be an added factor as to how coveted and interesting this residential development project could be. First of all, the site is a highly coveted location, with its striking proximity with Singapore’s prime entertainment hubs and excellent educational institutions. In terms of accessibility, not many complexes can beat or even match the strategic location of Rivercore Residences. Future residents can easily drive to Tampines Highway through nearby Anchorvale Lane and Sengkang East Road, which connects with the arterial road Kallang Paya Lebar Expressway that in turn, connects with the Central Expressway. For public transport commuters, the station of Tonkang LRT is just half a kilometer away. That rail station would quickly bring anyone to Sengkang LRT station, within the North-East MRT Line. From there, a commuter could take just a few minutes to get to the Serangoon MRT Interchanges, the Punggol Town Center, and the Heartland Bus Interchange, where one can go to any area in Singapore via MRT or bus. Of course, access to leisure and entertainment would be a breeze from Rivercore Residences. Aside from the on-site leisure and recreational facilities that would be constructed, future residents could also easily drop by sports and recreational centers in the neighborhood. Shopping malls and restaurant centers are also nearby. The winning bid for the development of the site was that of Sunway Development and Hoi Hup, which decided to join forces to ensure victory for the much coveted project area. The two firms have both been active players in the property development business for many decades now, making them experts in their own rights in telling which developments have the potential to succeed. Sunway Development, established in 1976, has always been committed to sustainability. Its projects are known for being able to give back to communities in any way. The company’s specialization is development of sprawling townships just like how they did it at Sunway City and to residential developments like Sunway Palazzio, Sunway Vivaldi, and Kiara Hills. For its part, Hoi Hup, has been among the most awarded property developers since its establishment in 1983. It has been most noted for its sold-out projects like The Ford @ Holland. In 2007, it also bagged the prestigious Best Buildable Design Award. Please fill up the form below to receive the latest Rivercove Residences Floor plans and project information.